Equity University will share many of the countless valuable wealth-building strategies for boosting self-directed IRAs revealed at its recent Equity University Networking Conference during a free webinar at 9 p.m. EDT October 25. The webinar will condense three full days of learning into an informative hour-long presentation featuring self-directed strategies and tax-eliminating tactics shared by industry experts and successful investors during the 40-plus sessions at the fourth annual conference. While the webinar is free, registration is required and space is limited. Those interested in viewing the webinar should visit http://tinyurl.com/c9gwp7g to sign up. 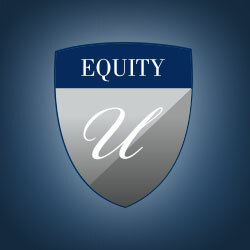 Equity University is a business affiliate of Equity Trust Company, which provides self-directed investment education in various forms throughout the year. Equity Trust Company, with its corporate headquarters in Cleveland, Ohio and operations in Waco, Texas and Sioux Falls, South Dakota, is at the forefront of the self-directed retirement plan industry. The company specializes in the custody of alternative assets in self-directed IRAs, Coverdell Education Accounts, Health Savings Accounts and qualified business retirement plans. Along with its affiliates, Equity Trust provides services to more than 130,000 individuals and businesses nationwide with approximately $11 billion in assets under custody. Since 1974, the company and its affiliates have helped investors make tax-free profits through education, innovation, and a commitment to understanding individual needs. Visit TrustETC.com for more information.